Liquid concealer formulated with essence to supply moist, spot coverage of facial flaws with a tip applicator. Packaging: It comes with small and handy packaging. also included with a brush wand. This is the old packaging. The new packaging comes with a different wand. The packaging is simple and easy to carry around. 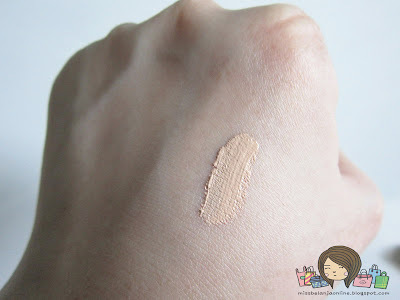 Swatch: As you can see the texture is quite creamy and it blends easily. The coverage is medium. 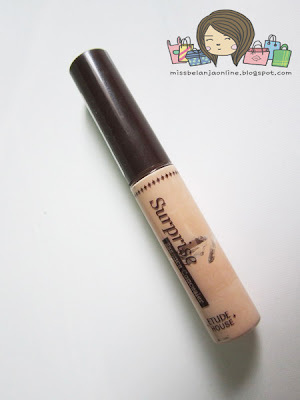 If you want to cover redness or blemishes, this concealer is the best choice. Easy to carry around and Cheap price! 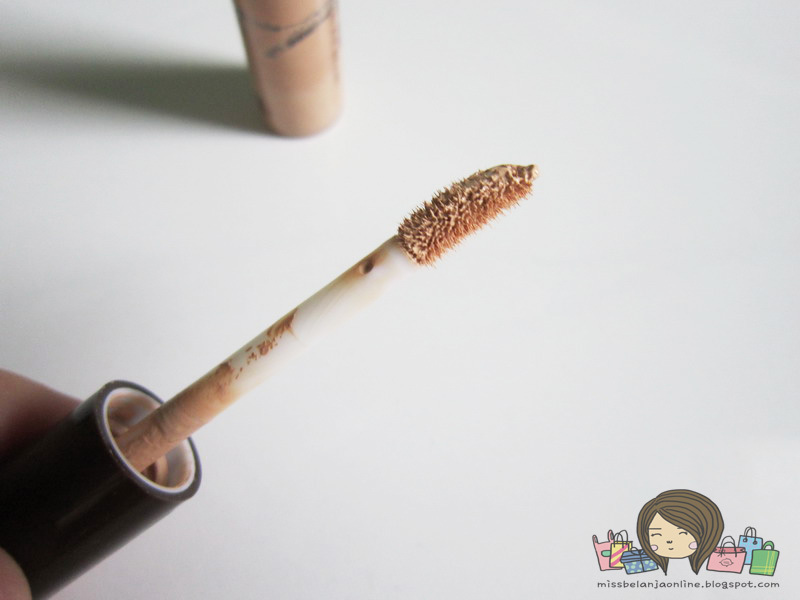 To cover dark circle, dot a little amount and blends with fingertip or brush. Don't use too many because it will look cakey and not natural. the concealer sounds amazing!! Will deff pick one up! Pengen nyoba degh kalo di IDR-kan berapa yah ??? I think I might try this one out finally! There's so many good reviews for it! But I've only ever used stick concealers before...so I'm not sure whether I'd like a liquid one... I suppose it's worth a try! Nice post!!! Giveaway is opened in my blog!!! Check it out!!! !